Pro angler and Crappie U instructor Terry Richard. Bossier Parish Community College (BPCC) is once again offering a continuing education course for those interested in learning more about catching crappies in and around Louisiana. Called Crappie University, the BPCC fishing course is set for 8:00 am – 6:00 pm Saturday, January 26 at Margaritaville Resort/Casino in Bossier City, La. Lunch will be provided. The course covers topics beneficial to anglers of all skill levels, from beginner to avid. The enrollment fee is $99 per person and includes samples of crappie lures and chances at door prizes. New ways to catch crappie are constantly being found and refined. Each instructor has a favorite way to fish, but all are experienced with every method to find and catch the species throughout all months of the year. 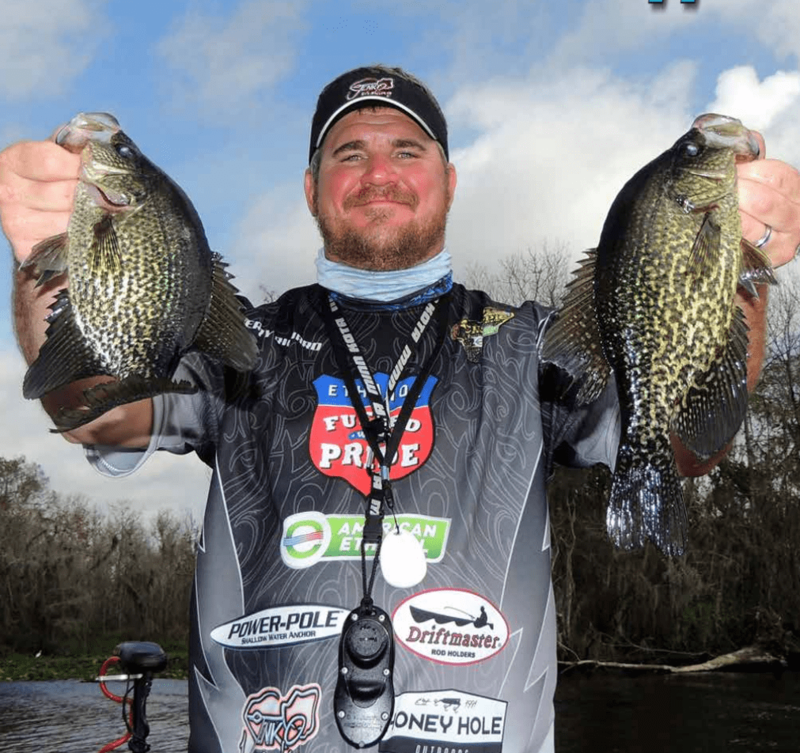 You’ll learn the best times, ways and places to fish Louisiana waters for crappie. This year’s course will highlight how to get the most from your sonar units, and how to catch crappie in tight, shallow cover where electronics don’t help as much. A question-and-answer period follows each instructor’s session. To enroll in the 2019 Crappie University at the Margaritaville hotel in Bossier City, call the BPCC’s Continuing Education at 318-678-6015 or visit www.bpcc.edu/continuingeducation/crappieuniversity . For more information about Crappie University, visit www.CrappieUniversity.com.